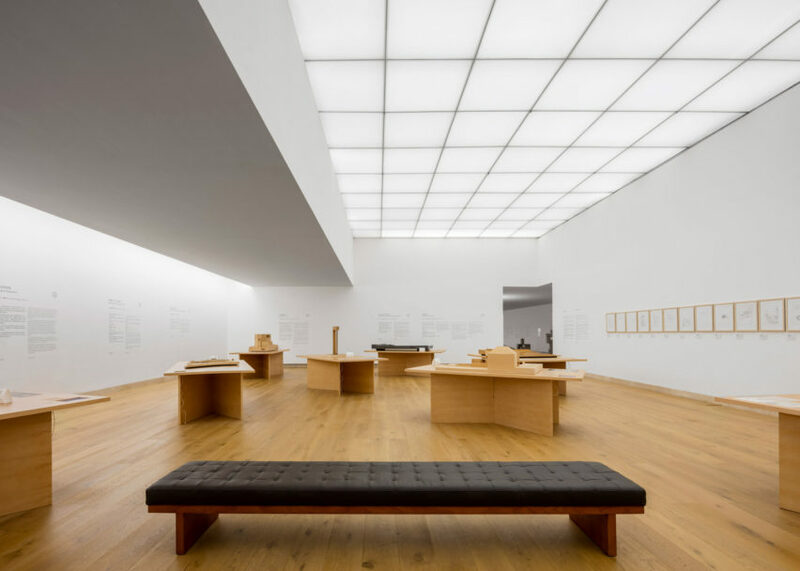 Kicking off our annual review of architecture and design, editorial assistant Bridget Cogley looks back at the most important museums and galleries that opened in 2018. 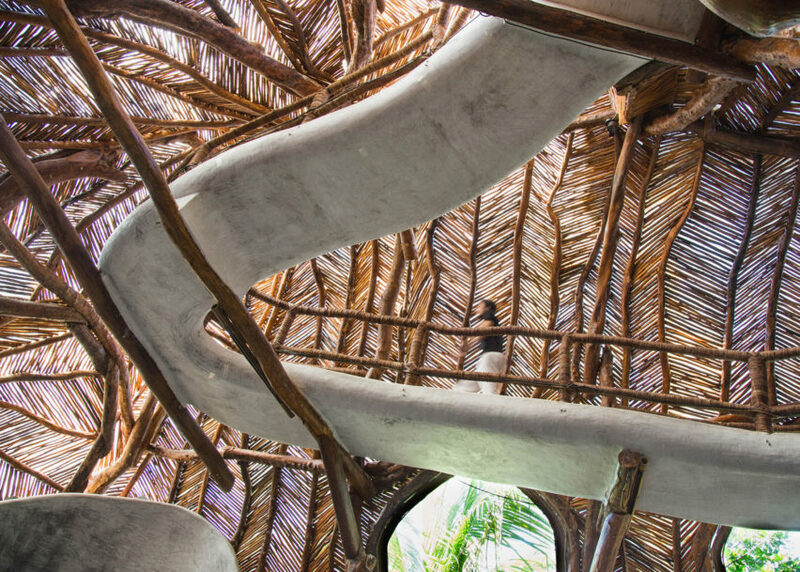 They include the V&A Dundee by Kengo Kuma and a treehouse-like art institution in Tulum. 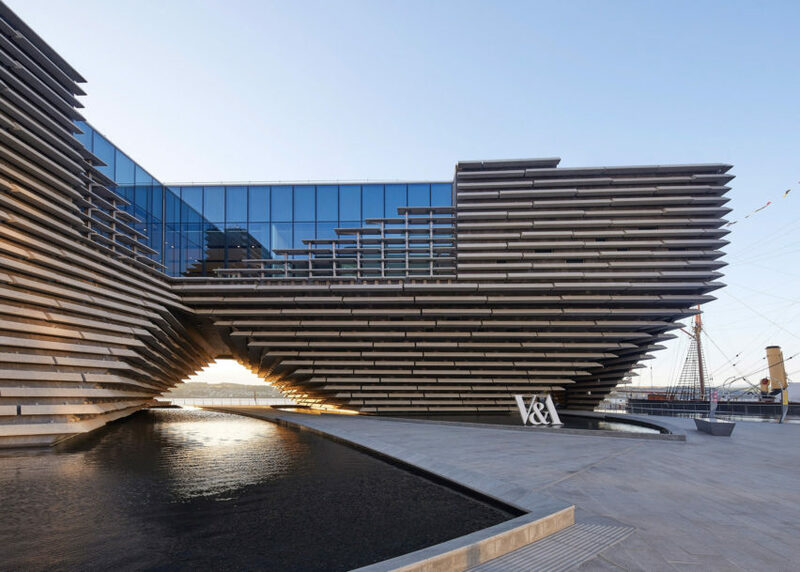 Scotland's first design museum, the V&A Dundee, was completed in September 2018 by Japanese architect Kengo Kuma – becoming the V&A's second outpost after its west London home. 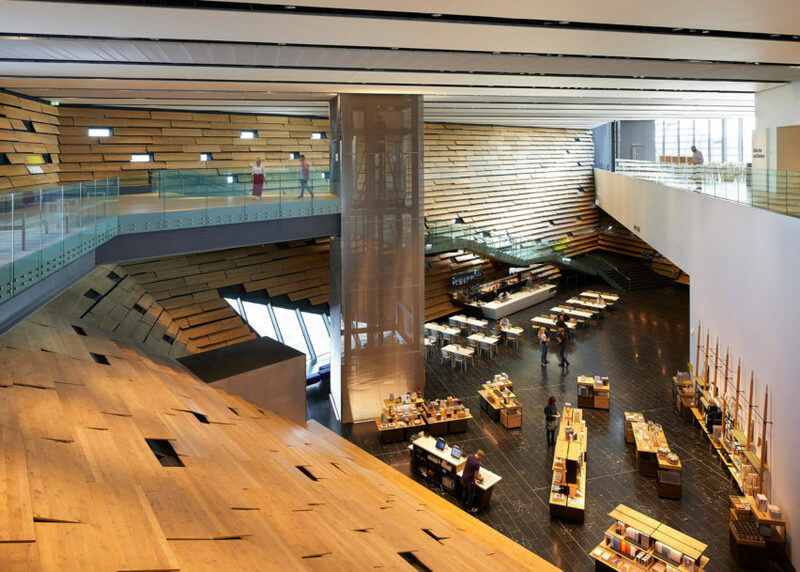 With an angular construction and clad in horizontal concrete panels, the museum is designed to evoke the surrounding environment and at the mouth of the River Tay. 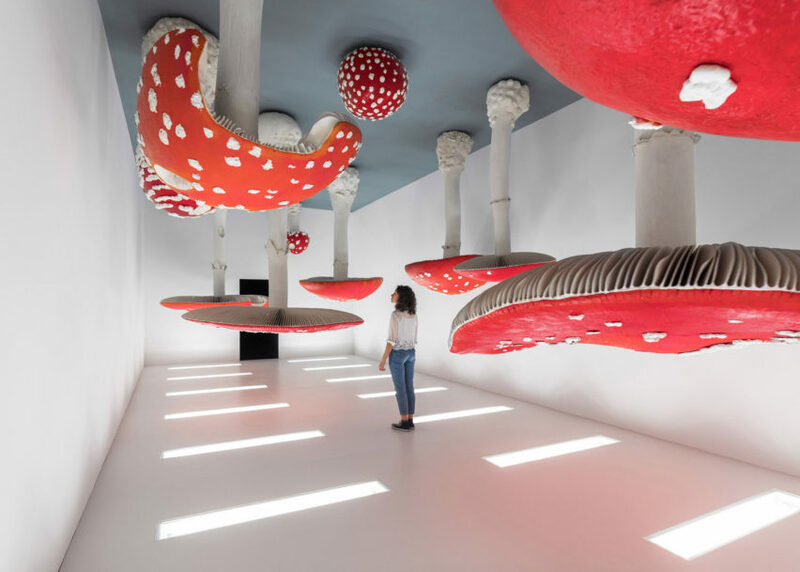 Visitors have to take off their shoes before entering the IK Lab art gallery in Tulum, which was initiated by Santiago Rumney Guggenheim – the great-grandson of famed art collector Peggy Guggenheim. 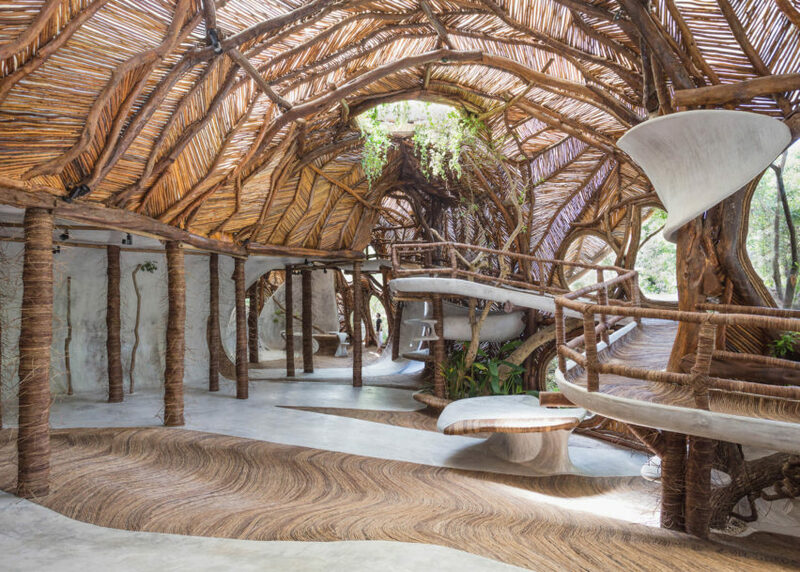 Formed by curved concrete surfaces and local wood, and incorporating vines and tree branches, the space was designed by Jorge Eduardo Neira Sterkel and forms part of his eco-friendly Azulik resort in the Mexican beach town. 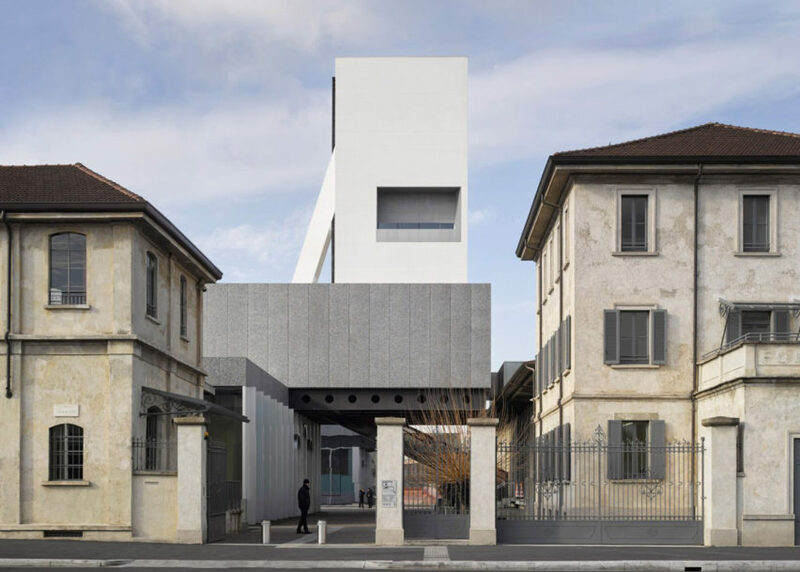 OMA's slender white tower houses more galleries for contemporary art at the Fondazione Prada complex, which the Dutch architecture firm created at a former industrial site in Milan. 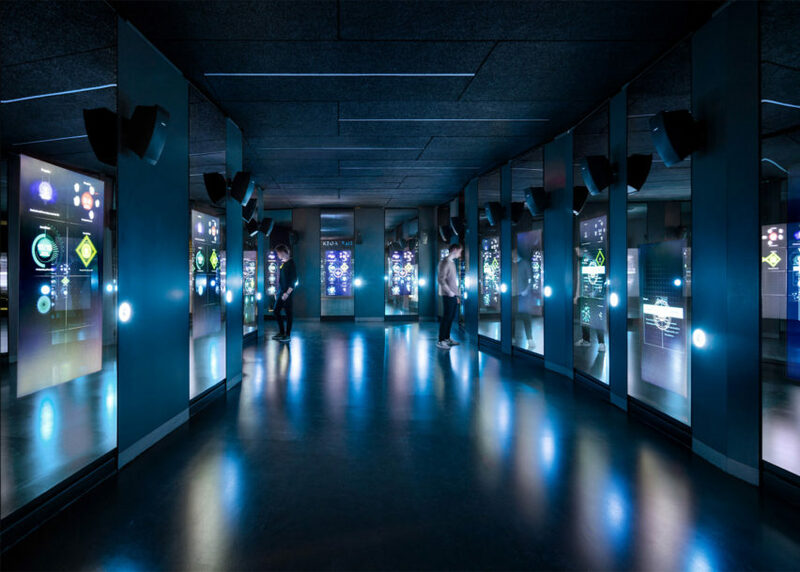 The Torre also includes a restaurant and a 160-square-metre rooftop bar, and accompanies a structure covered in 24-carat gold leaf and a cinema camouflaged by mirrors, which opened in 2015. 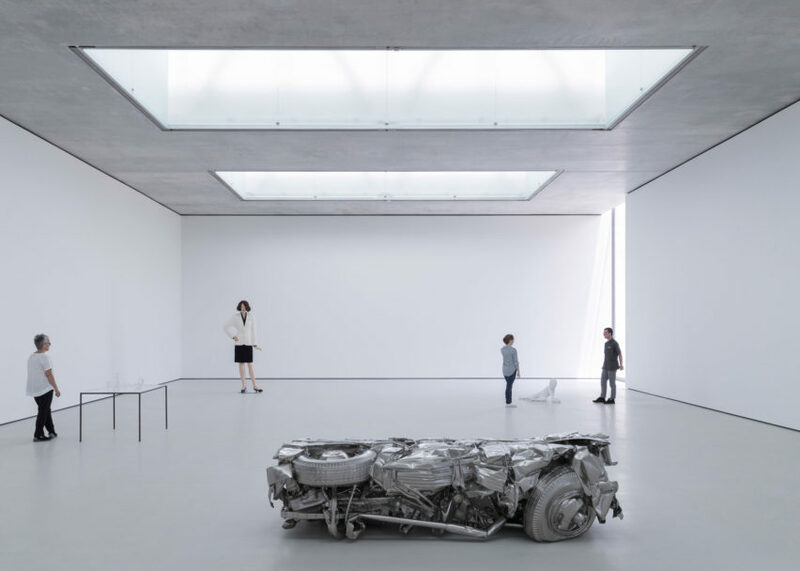 Houston's museum district gained a new gallery by US architecture firm Schaum/Shieh. 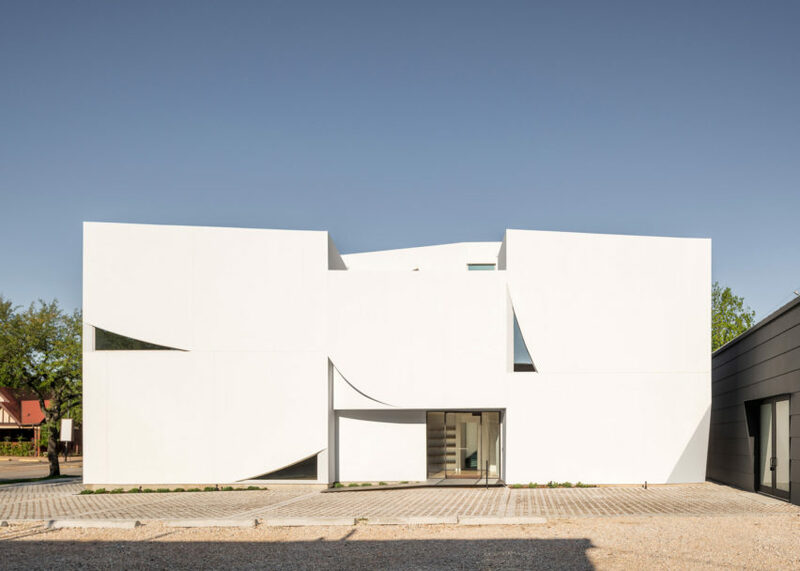 The new white building features sculptural stucco panels, interspersed with triangular windows, to form the Transart Foundation. 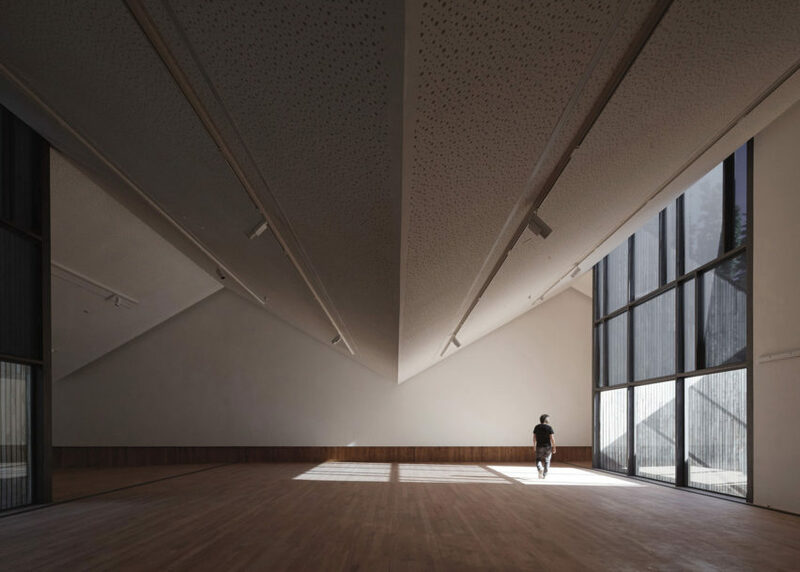 Inside is a multipurpose facility that accommodates exhibitions, performances and events, with an existing photography studio next door re-skinned in a grey cement for contrast. 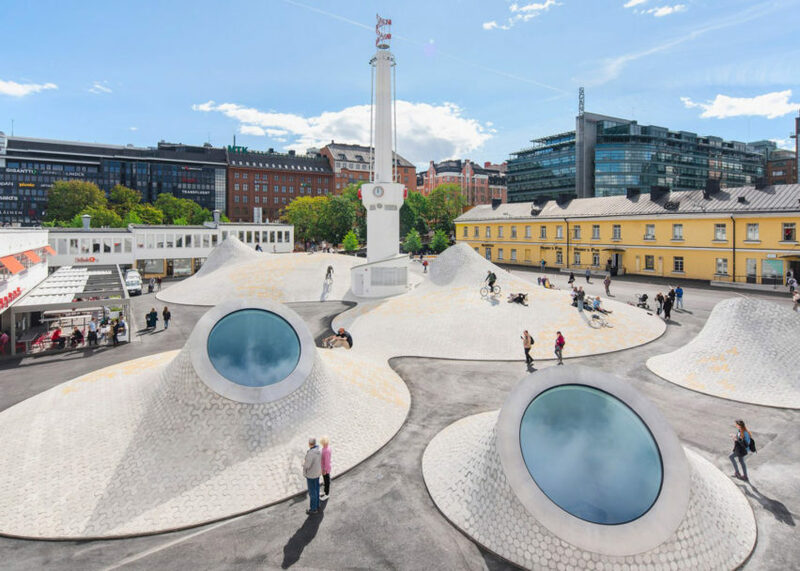 The subterranean Amos Rex in Helsinki features domed galleries that bubble up to create a playful outdoor area, covered in cream and orange tiles across the roof. 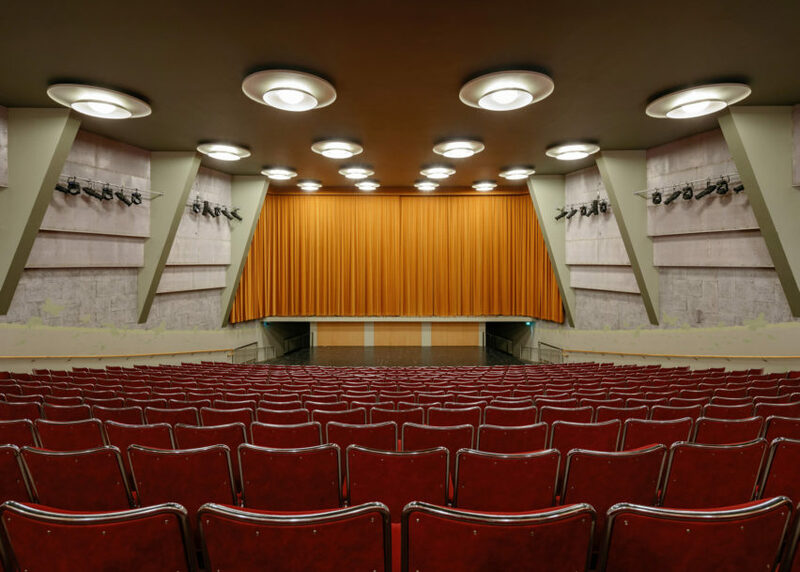 Local firm JKMM Architects renovated the functionalist 1930s Lasipalatsi building to create the building, which is the new home of the former Amos Anderson Art Museum. 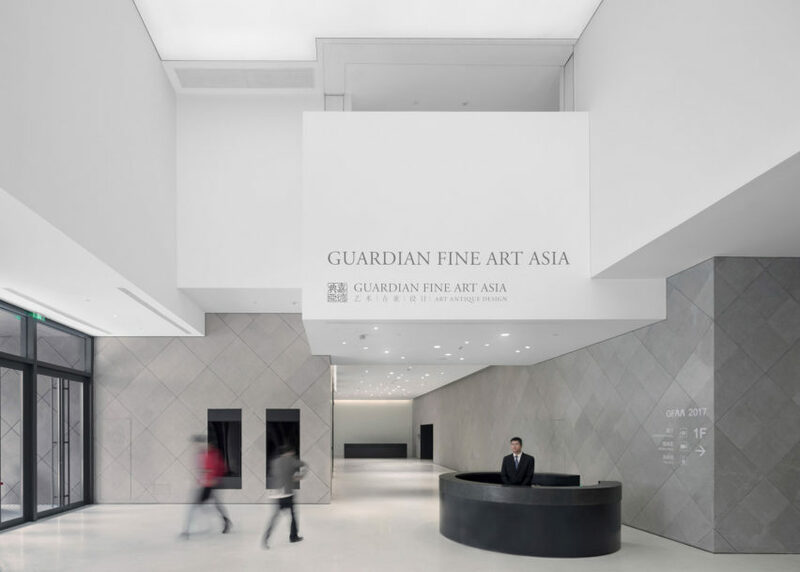 Architect Ole Sheeren designed this art centre in Beijing to be a "big culture machine", with a range of facilities, including art galleries, art-conservation facilities, a hotel, event spaces and public transport. 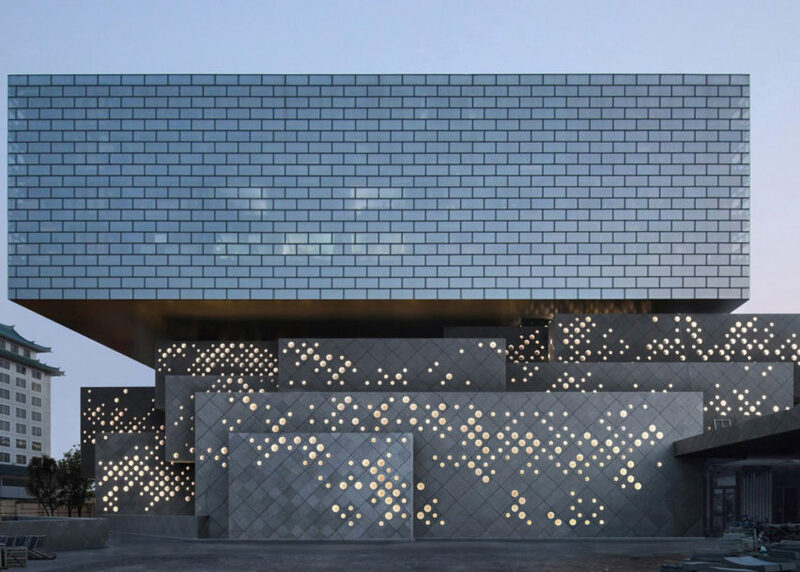 The complex is formed by a cluster of small blocks with grey basalt stone at its base, all punctured by small round windows, and a large tiled volume that sits on top. 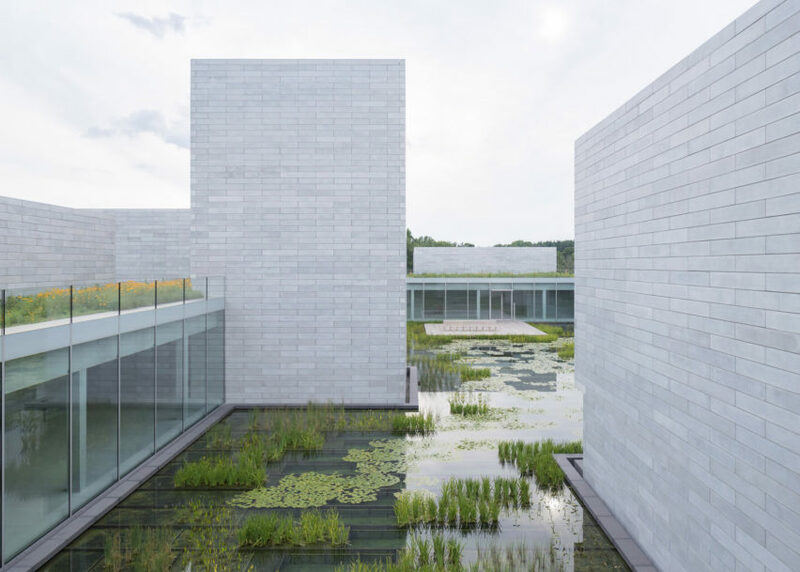 US architecture firm Thomas Phifer and Partners expanded Maryland's Glenstone Museum with a series of minimalist cuboid volumes, arranged around a reflecting pool that provides a "meditative experience, where you always return to this space that is open to the sky and the light", according to the studio's founder. Nestled into a rolling, grassy landscape, the project is the home to an impressive collection of post-war art. 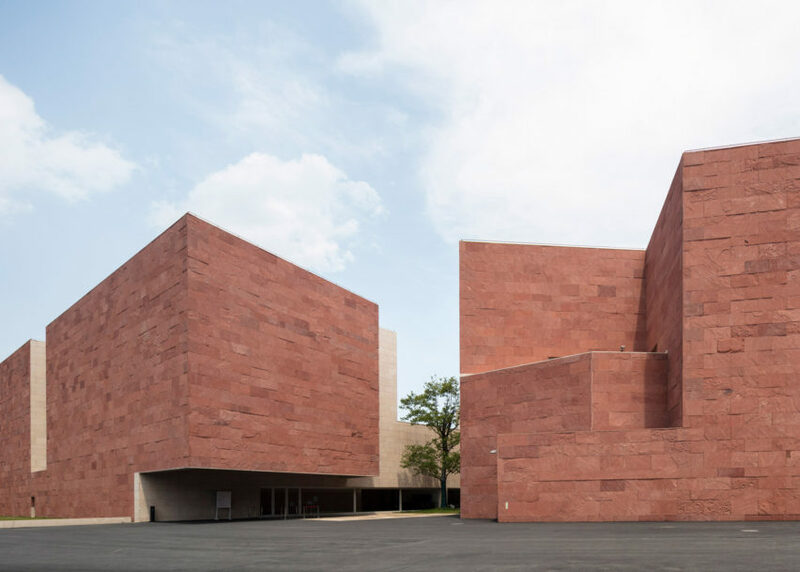 Slabs of red sandstone clad the International Design Museum of China, designed by Portuguese architects Álvaro Siza and Carlos Castanheira. 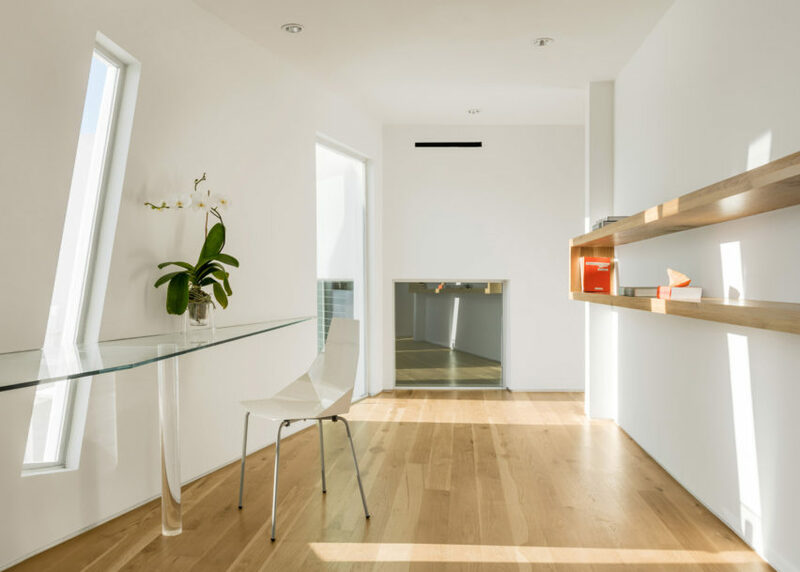 Inside, pale interiors of white and light wood create an airy environment, while the building is topped with various grass roofs. The triangular structure is part of the Chinese Academy of Art in Hangzhou and features an impressive art collection and many original pieces from the Bauhaus school. British architect David Adjaye completed work on New York's museum of spying this year. 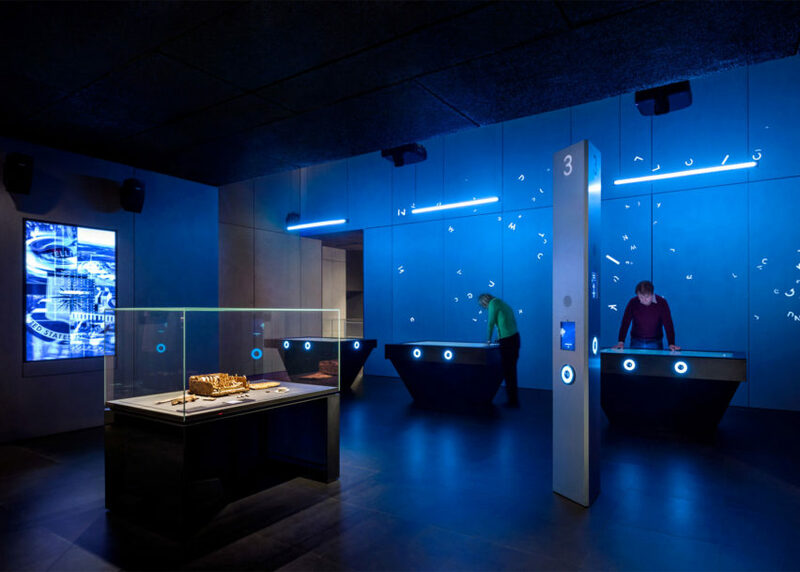 The interactive Spyscape museum occupies a renovated building in Midtown Manhattan, where weathering steel drums house an exhibition focused on surveillance, hacking, deception and intelligence operations. Materials and lighting for the surrounding spaces create a dark and mysterious atmosphere. 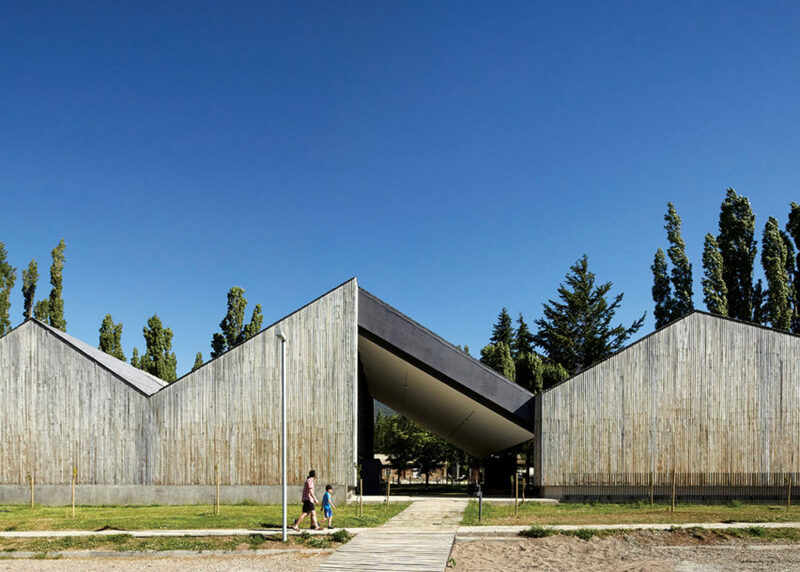 The ridged roofline of this museum in Chilean Patagonia references existing historic buildings on the site, and creates a sequence of dramatic internal spaces. The project was created on a site where settlers established a sheep-farming community in the early 20th century. This eventually grew into the city of Cohaique – the capital of the Aysén Region and the gateway to some of Patagonia's most remote areas.